Our bodies work so damn hard everyday, and we unfprtunaly live in state of stress – the old flight or fight- therefore, sometimes its a good idea not to overload the nervous system any more than it currently is. So when I get the signals to slow down on the coffee I replace it with the just as delish Bulletproof Chai. It’s like an upgraded, wholesome version! I honestly forget just how creamy and yummy it is, with all of the spices! It can seem a little daunting thinking of how many ‘good fats’ are in this little weapon. However, I want to educate you on nutrient dense VS calorie counting. My aim is to give you information and you to do your own research and trials to see what types of food fuel your body best. Eating a diet consisting of good quality fats can curb your sugar and hunger cravings and even increase weight loss. BUT don’t take that sentence as a reason to chow down on KFC or greasy foods. I am talking good quality fats like Ghee, Grass-fed butter, Coconut Oil, Avocado Oil etc. Having these in your kitchen are fantastic to cook with and consume. I highly recommend giving it a try ASAP! In a small saucepan, simmer 1 cup of Almond Milk and chai spice blend over a medium heat. Remove from stove, strain the spices. Add 1-2 tablespoons grass-fed, unsalted butter or grass-fed ghee. Mix it all in a blender for 20-30 seconds until it is frothy like a foamy latte. 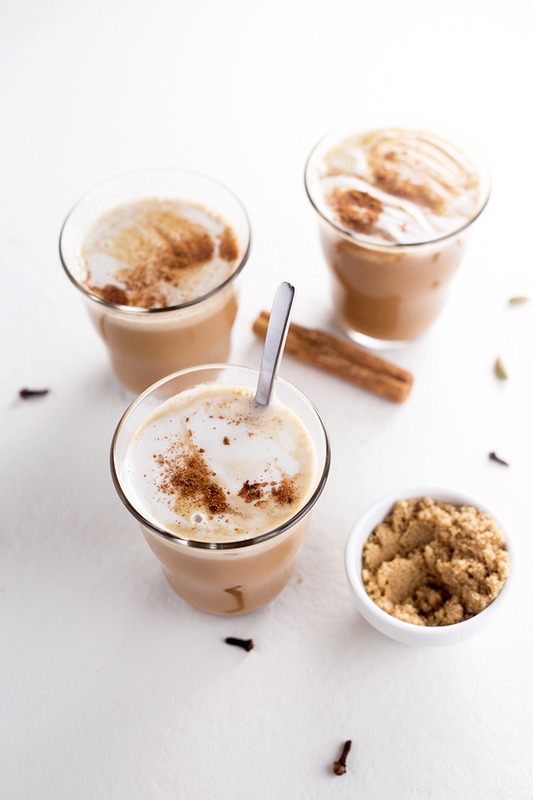 Enjoy and enjoy this frothy deliscious alternative to your morning cup of joe!